Nina has been passionate about singing her whole life, performing in genres from musical theatre and pop to jazz and blues. During her many years practising law and raising a family, Nina was the featured singer with the Advocats Big Band and the R & B band, the Tokyo Giants, as well as the swing band, Atomic Cocktail, and many other smaller formations. She has performed at high-profile events such as the Beaches International Jazz Festival, Eat to the Beat for Willow, the Angel Ball for Providence Centre, AidsBeat, as well as at weddings, parties and book launches. She has appeared at many venues around Toronto, including, The Rex, Seven44 Restaurant & Lounge, Gate 403, the Rivoli, Revival Bar, The Pilot and more. Now, with her children grown and the practice of law behind her, Nina has more time to devote to her music. In addition to her other ensembles, she is a member of The Way Back, leading and harmonizing on tunes from as far back as the 60’s, and is now the featured vocalist in the Fifth Element jazz quintet. David Coules is a resident of Oakville and has been on the Toronto music scene full time since 2012. He is a retired educator with over 30 years of experience in the profession. David’s musical resume includes his current work with a number of Toronto area ensembles including the Swing Shift Big Band, the Advocats Big Band, the George Lake Big Band and the Bob Clegg Big Band. Additionally David performs with smaller ensembles such as Fifth Element as well as fronting his own quartet. As well David has been a featured guest artist with the Bob Cary Orchestra, the Chris Hunt Tentet, the Anthony Terpstra Septet and the OctoKats. Dale has toured across Canada and the U.S. with various bands covering all genres. His skill as a pianist has allowed him to excel in all formats from solo performance to big bands. Included in his resume is the release of his CD – “Determined” featuring Jackie Richardson. 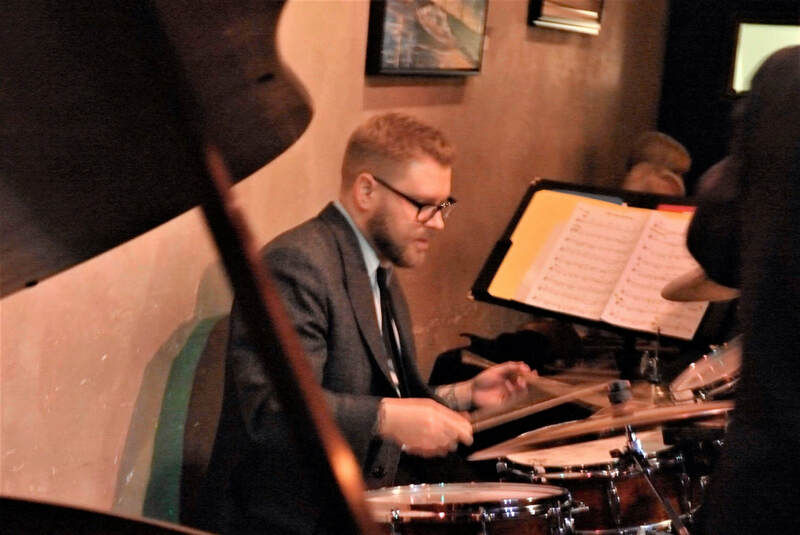 Dale has performed at clubs across Toronto including appearances with the George Lake Big Band, the Spirit of Jazz Hard bop ensemble, the David Coules Quartet and, of course, Fifth Element. As well as being a talented pianist, Dale is also a visual artist who works in a variety of different media. Dale’s creative talents also include compositions which are welcome additions to the Fifth Element Library. 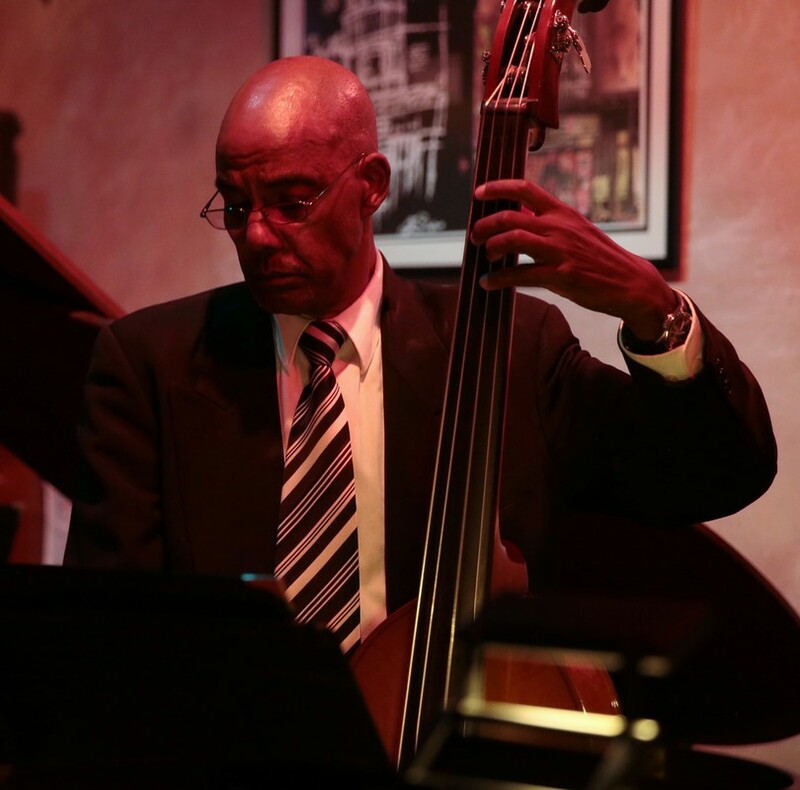 Ron Johnston has been playing the bass professionally in and around Toronto for the past 45 years. Notably he is one of the original members of the well-known Hard Bop band “Kollage”. Ron is one of the busiest bass players in Toronto. His big band work has him performing with the Swing Shift Big Band, the Bob Cary Orchestra and the Bob Clegg Big Band. His current small group experience includes Fifth Element in addition to working with Juno award winner Bob DeAngelis as well as the Bob Clegg Octet and the David Coules Quartet.